Since its initiation, Internet has remained the herald of the shifts and changes in the world. There’s no way for anyone in the modern world to be unaware of its influence either knowingly or unknowingly. Such is the impact of websites and web applications across the globe today. The shift from the humble desktop through laptops through Smartphones for accessing the Internet has been swift. Web application development companies play a vital role in enabling businesses and entrepreneurs to keep pace with the constantly changing web scenario. No one would have anticipated the exceptionally fast growth of technology and the speed in which web applications took the cyber world by storm. Today, there’s practically no business that can go without a website or a web application for effectively branding itself and reaching out to its customers. Web applications are expected to generate an unprecedented amount of global revenue, apart from spearheading the brands and building the business of organizations across the world. With progress in the technology front and increase in consumers’ demand, there’s no shortage for flamboyance and innovation when it comes to Web Application Development in the modern world. Motion UI: One of the amazing trends in web application development trends, Motion UI enables developers to create websites with moderate design but achieve maximum appreciation. A minimalistic website gets new life because of Motion UI. Artificial Intelligence and Chatbots: Getting the required information quickly with the least or no intervention is made possible, thanks to Chatbots. Chatbots and Artificial Intelligence hold the critical key for opening unchartered avenues in future. On-demand Apps: On-demand business model will be embraced on an increasing manner to fuel the growth of web applications in 2019. Progressive Web Apps: Delivering marvelous user experience and loading instantly, Progressive Web Apps can function without any connection. User engagement as well as conversions can be improved significantly with progressive web apps, making them a sure shot trend in future. Low-code Development: Driving innovation rapidly will be possible by using low-code development; it will provide faster business while deploying grade applications. Enterprise apps will be benefited more by using low-code development on a large scale in the coming year. Single E-commerce Network: Providing a flexible and efficient system for facilitating cooperation among several online stores, a single e-commerce network helps increase your online store’s attractiveness. Blockchain: Blockchain technology proves to be a very efficient method for collective data storage; it offers the highest security and requires no intermediaries for carrying out transactions. Social Selling: Helping businesses to generate revenue through social apps and connectivity, social selling benefits brands by increasing sales; products can be taken to target audience quickly by using this. Push Notifications: Mobile app notifications prove to be very efficient for user re-engagement, allowing users to receive push notifications on their visit. Changes about the website can also be notified to users even when they are not on the site tab. Cyber Security: Protection of networks, systems, and precious data and reducing the threat of cyber attacks to protect individuals and organizations from unwanted exploitation will become a major focus in future. Virtual Reality and Augmented Reality: Empowering quick, easy, and more interactive web application development, VR and AR are the trends that will help marketers to grasp and target audiences. Adaptability: With web app development taking a changed form and pattern when users shifted from their customary desktops and laptops to mobile devices, it has become essential to develop scalable and adaptive web applications. This trend will be experienced widely in 2019. Forms: Building websites with diverse sections, figures, and varied forms will become the order of the day in modern web application development. Video Backgrounds and Content: Gaining attention of the maximum number of users is one of the most important factors that facilitate business success; video content and backdrops prove to attract users and increase sales. Single page website: Providing all information about a site in a long scrollable page saves complex navigation for visitors. Particularly, users do not need to jump over pages in mobile websites, for collecting the information they look for. Lazy Loading: Using the tactful approach of showing the content of a website expected by visitors within a fraction of time, lazy loading enables faster page loads. Predictive Analytics: Web applications are not mere utilities anymore. They have in fact become an integral part of the public’s work flow. Artificial intelligence will be put to use for enhancing customer experience across the UI/UX of the apps, using predictive analytics. Staying close to user demand and preferences and equipping themselves with the most modern technology for building high performance-driven web applications helps web application development companies to stay in the race and beat the competition. 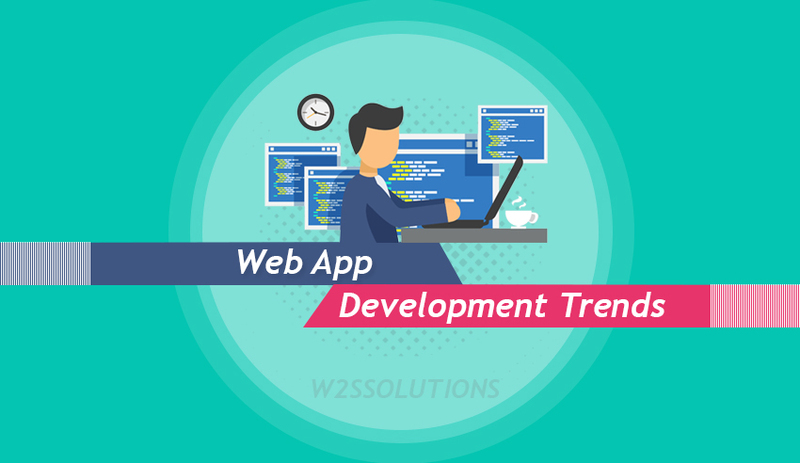 Having a clear understanding of the future trends in web applications development helps business owners to sustain a long-term and good relationship with customers. Thanks for sharing excellent informations. Your site is so cool. I’m impressed by the details that you have on this site. It reveals how nicely you perceive this subject. Bookmarked this website page, will come back for more articles. You, my friend, ROCK! I found simply the info I already searched all over the place and simply could not come across. What a perfect website. Next Next post: How Artificial Intelligence is Driving Mobile App Personalization?